Pronunciation Games (CUP 1995) was my first book, and it still sells today over two decades later. It’s a resource book for teachers, consisting of 36 photocopiable game pages along with step by step teaching notes. It proved to be immediately popular and won an award – the Frank Bell prize – shortly after publication. Nowadays, when I am out at ELT events, people often tell me how much they have been influenced by the book. Which PronPack – eBook or print? The plus points for ebook or printed book, why not get both! Just updated my author page on Amazon to include PronPack! 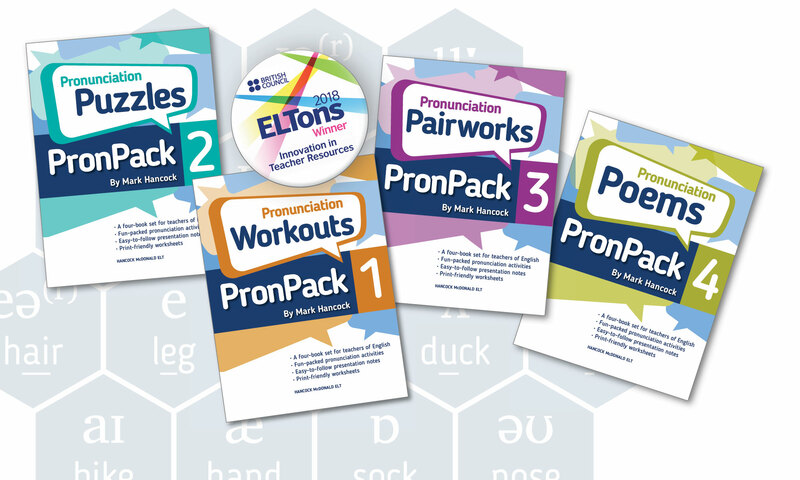 PronPack 1-4 Released in Print! Get them from Createspace here: PronPack 1, PronPack 2, PronPack 3, PronPack 4. Also available on Amazon. Misunderstandings are going to happen, and not only involving people who are learning the language. This example could easily be between an Australian and a British speaker.